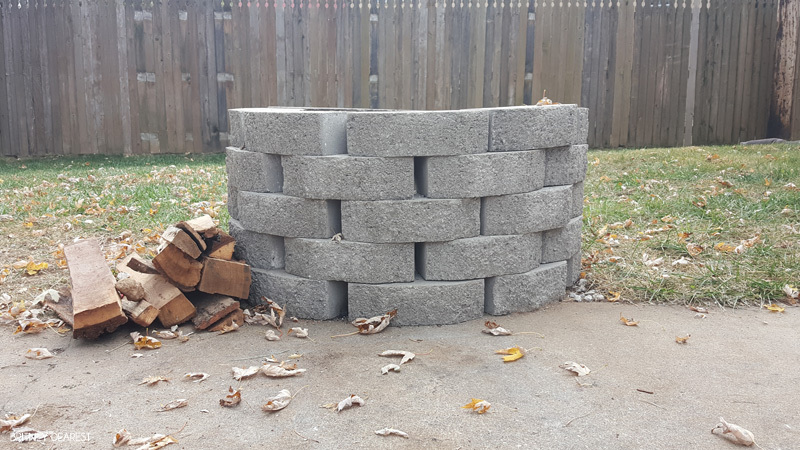 Every fall, for the past few years, my sister-in-law would invite family and friends over to hang out and enjoy each other's company around a fire pit she had in her backyard. My children would even visit her and camp out by the fire pit with tents, sleeping bags, hot dogs, s'mores... the works! The kids loved it! A few times over the past year, my husband has mentioned building a fire pit for our home one day. Well, guess what... We finally did it! 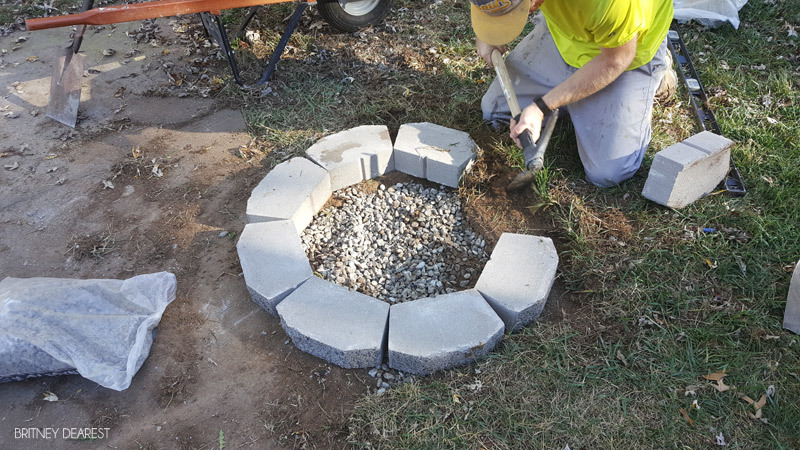 Over the weekend my husband built a fire pit in our backyard. So far, we all love it. The day my husband finished it we started a fire, grabbed chairs and blankets for comfort, gathered around it and enjoyed s'mores while telling ghost stories. 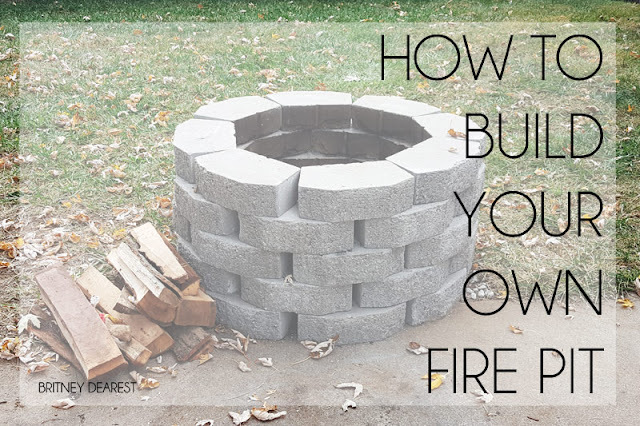 We received a lot of positive feedback on our fire pit after I posted a couple of pictures to Facebook, so I wanted to share a quick tutorial and show how easy it was to make. ***Before beginning, make sure there are no trees or anything above or around the location of your fire pit that can catch fire. 1. Dig out a pit using your shovel. Ours is approximately 2' x 2' wide and 3" deep. 2. Level the ground/dirt using a measuring stick level and ice axe. 3. 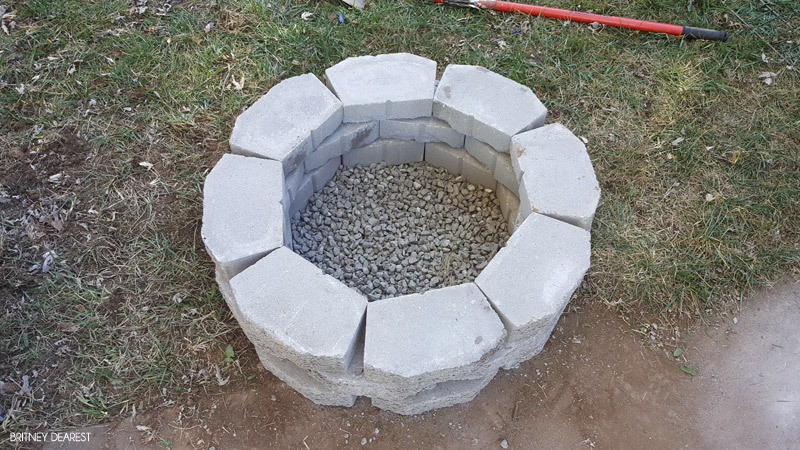 Pour drainage rocks or stones into the pit and spread them evenly. 4. 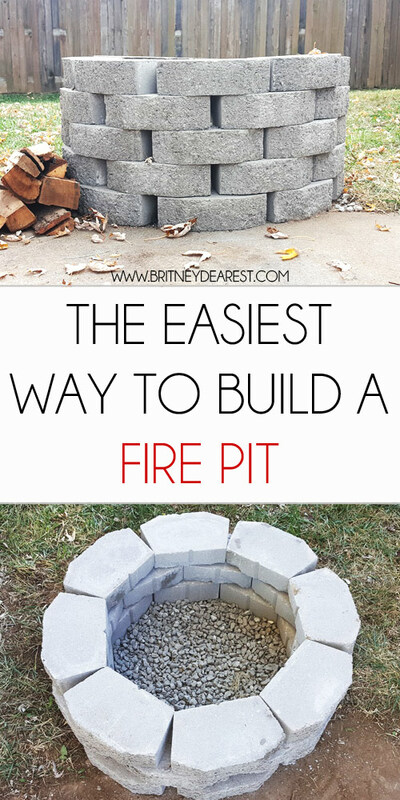 Begin placing the first row or layer of your large stones around the pit - not inside. Make sure the corners of the stones touch and it looks perfectly round. 5. Every row or layer thereafter should be staggered so the seams/cracks do not line up. 6. Add as many layers as you please. We originally had three, but decided five would be better. 7. Add a grill grate to the top to cook foods! There's also spark screens to prevent fire sparks from burning anyone. Follow by email to receive updates on my latest blog posts!